The Southern California Regional Occupational Center (SoCal ROC), located in Torrance, California, is a Joint Powers Authority serving 6 school districts (Inglewood, Manhattan Beach, Palos Verdes Peninsula, Redondo Beach, and Torrance). 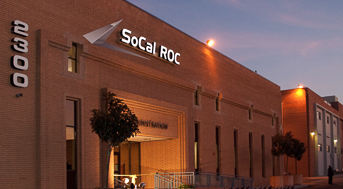 SoCal ROC serves an area encompassing 14 cities and certain unincorporated areas of Los Angeles County. The total population of this community is approximately 721,000.